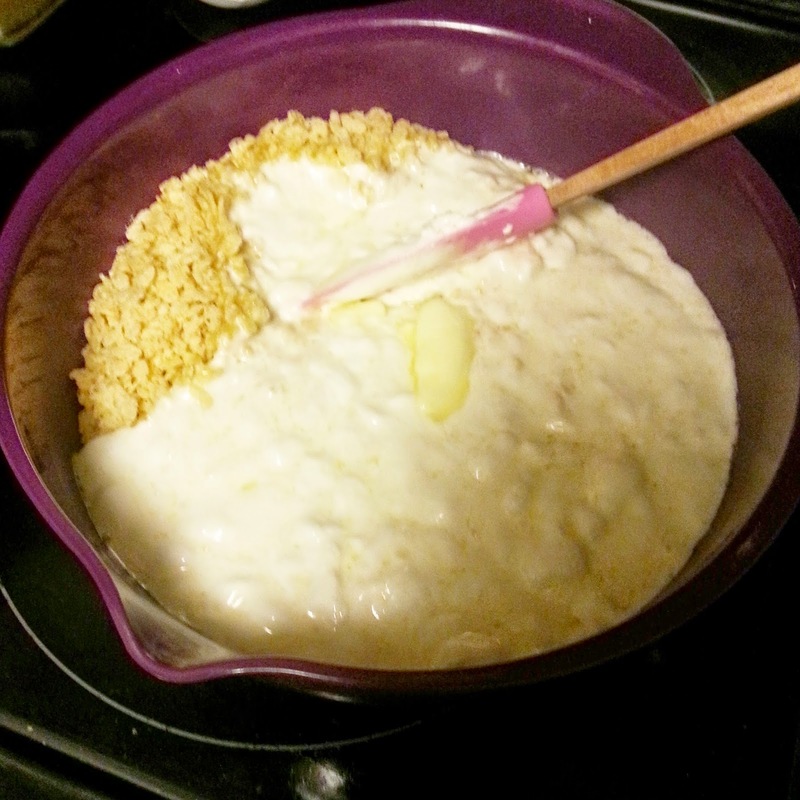 I gave my mixture I good mix so everything was nice and combined, and after it cooled a little I started to mold it on my baking tray. 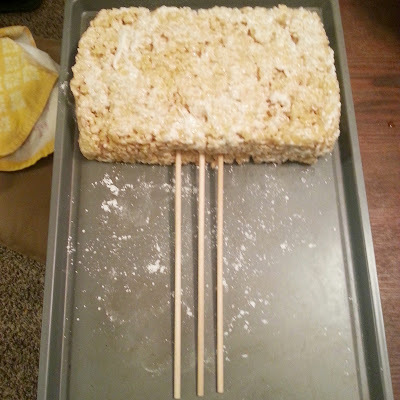 Ooh please make sure you put wax paper down first to avoid having to use a spatula to pry the rice krispie treat off the tray...as you can tell I was on a roll! 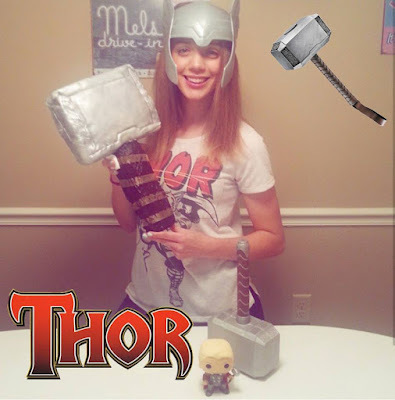 :p Before I went any further I placed 3 wooden sticks in the center of the hammer and then placed it in the freezer to set. This just made it easier to move around and pick up. Once out of the freezer, I was happy that it wasn't going to squish or fall a part. 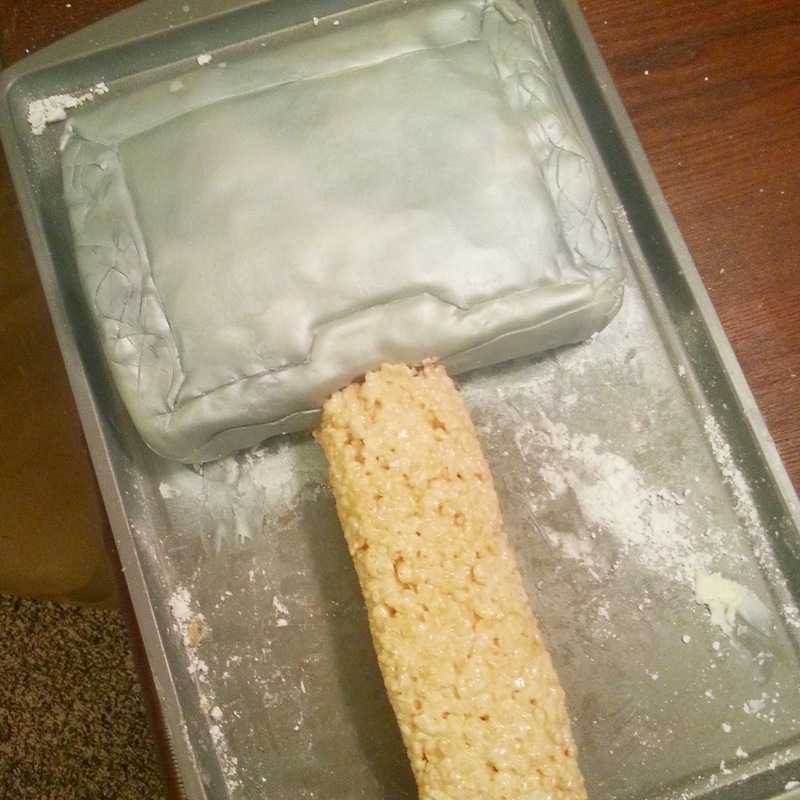 I then frosted the top of the hammer before making the rice krispie handle. I felt it was a lot easier to do this way so I didn't have anything obstructing applying the fondant. 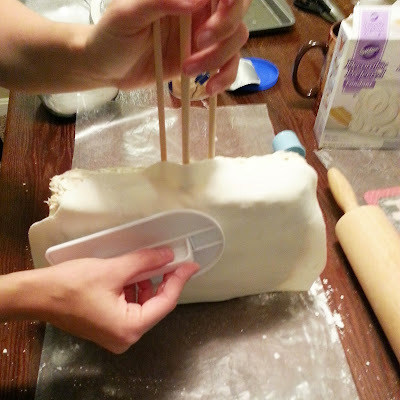 I simply spread a thin layer of frosting over the entire rectangle and then rolled my white fondant over the top! Once the fondant was in place I sprayed it silver...yay. Starting to look the part! 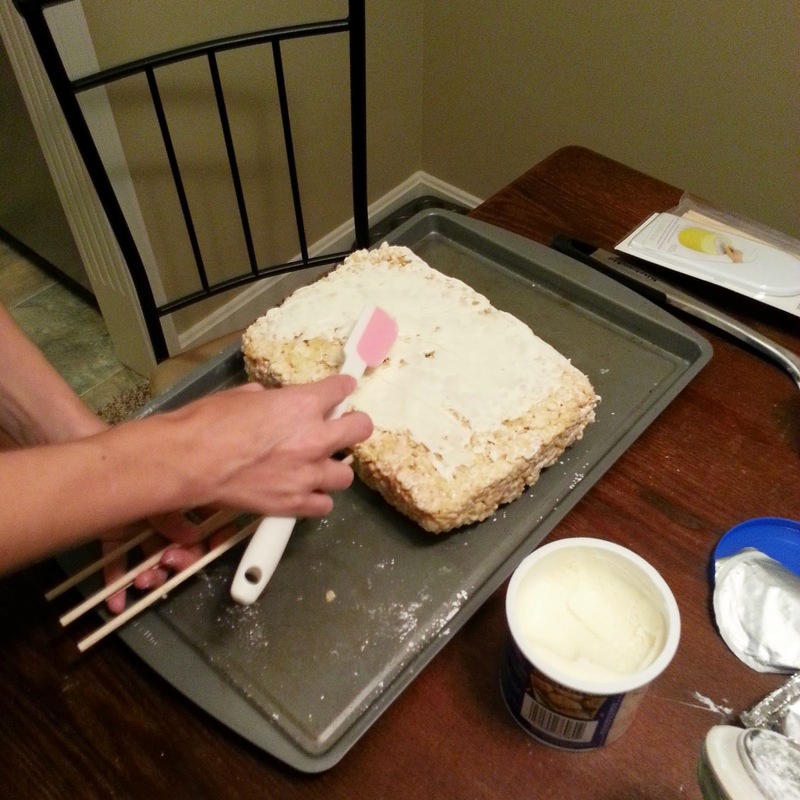 :) I then mixed up the second batch of rice krispies and molded it into a handle around the wooden sticks. Once again I placed this in the freezer to set. I forgot to take a picture of me painting the handle with melted chocolate, as I was too giddy that it was working and coming together. :p But all you need to do is melt your chocolate chips and then use a pastry brush to spread it on the handle until it's covered. Then guess what comes next??... 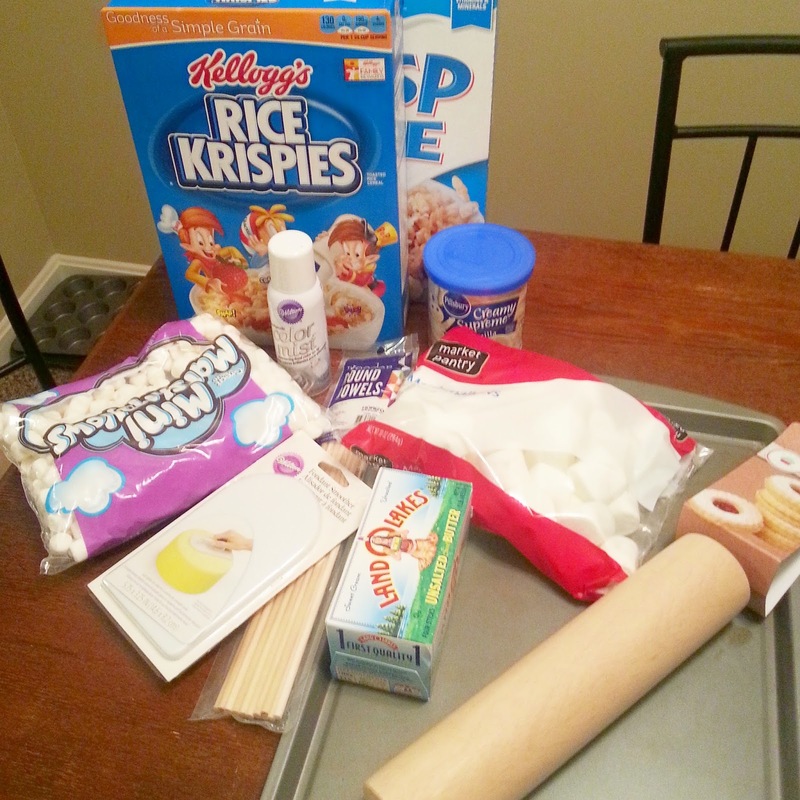 yep placing it in the freezer again to set. 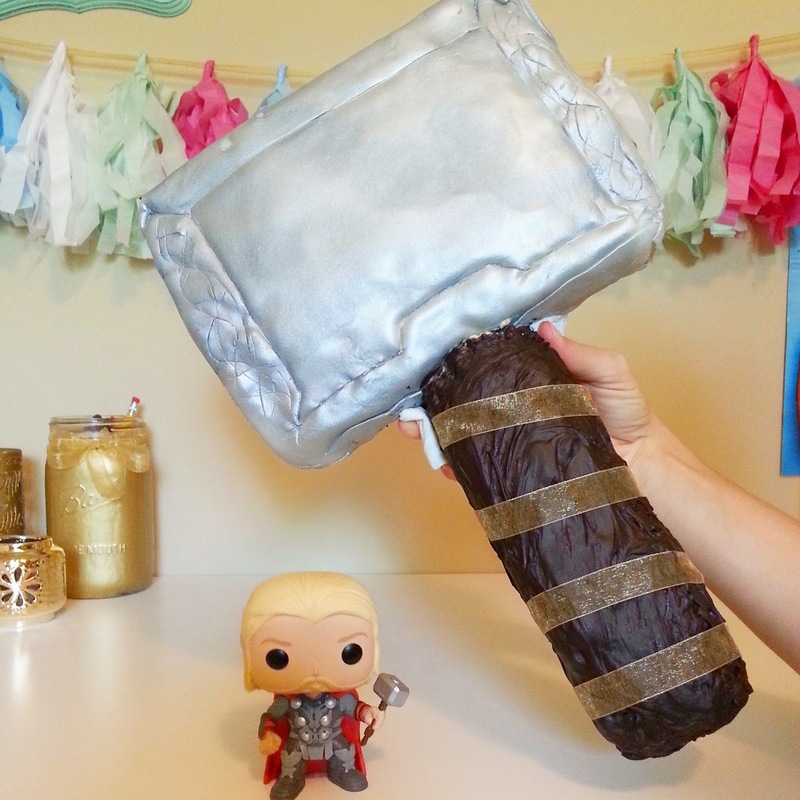 What a great take on Mjolnir! Edible too!! !